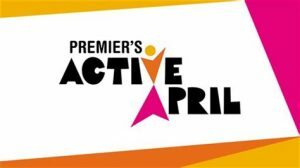 Premier’s Active April is part of the Victorian Government’s commitment to promote healthy and active lifestyles and get Victorians to join in the fun of increased physical activity. It encourages all Victorians to do 30 minutes of physical activity a day during April. The program provides a range of free incentives. Sign up here and download the App! By downloading the Active April mobile app for iOS and Android you can manage your teams and track activity all with the click of a button. It also features a digital card giving you easy access to all the Active April offers featured in My Local. Plus, a whole new section dedicated to the Get Active Workout Videos to keep you motivated throughout April. At home, in the gym or at the park- it’s never been easier to get active! *Terms and Conditions apply to all offers and prizes. ^Winners receive two tickets to either the 2020 men’s or women’s final.